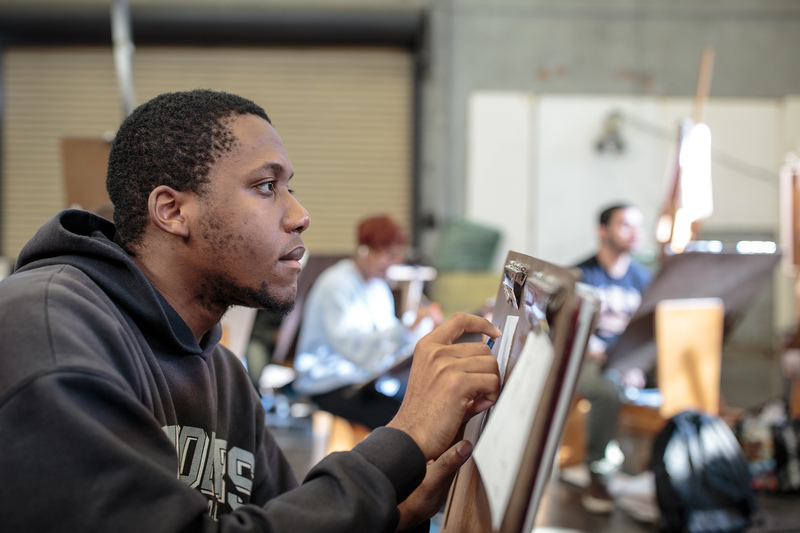 The Art Department at Merritt College seeks to generate and nurture the creative element in human life. Artistic impulse is an intrinsic human necessity for holistic health. The shared creative process of a class in painting or ceramics fosters, in the warmest, most accessible way, a general communication that spreads out to benefit the entire community. The creative thought process and problem-solving learned in an art class also supports and enhances the entire educational experience. Career paths include working artist, teacher, graphic designer, sculptor, curator in a museum or gallery, conservator, appraiser, or related fields.